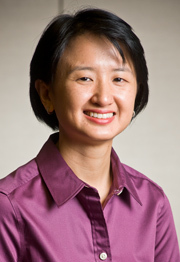 Dr. Irene Chen - received her DMD degree from Boston University Goldman School of Dentistry. She then served as chief resident in the postgraduate Advanced Education in General Dentistry program at the University of the Pacific School of Dentistry in San Francisco. While there, she honed her ability to provide excellent care skill, and judgment in a comprehensive and flexible manner, all while maintaining her characteristic personal warmth. Dr. Chen takes the needs of the whole person into account while delivering the best dental care available. She is devoted to serving the underprivileged, both locally and internationally, and exercises her passion for that work by participating in dental relief missions. Please contact me at my dental office in San Francisco in Pacific Heights with any questions I can help answer for you!